Editor’s Note: All opinions on RMU Sentry Media are the writer’s own. 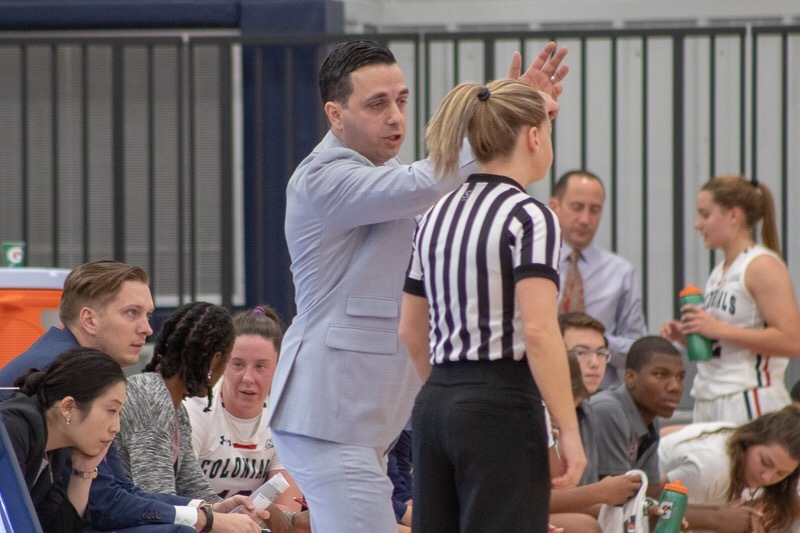 MOON TOWNSHIP— Charlie Buscaglia spent his first two seasons as head coach of Robert Morris women’s basketball shattering records while turning this RMU squad into essentially an unstoppable force. But coming into this third season of the Charlie Buscaglia era, the level of play has been below expectations, and the conference which seemed to be the Colonials’ for the taking, now seems shockingly up for grabs. Through the end of non-conference play, Robert Morris currently sits at 3-8. Among those three wins, one came against a Division II school, one came on a last-second go-ahead shot after blowing a double-digit lead and the final of those three wins came in the dominant fashion which was expected of this team going into the season. Beyond that, this team has only shown flashes of what they are truly capable of doing. Against nationally ranked Iowa, the Colonials were down by just single digits going into the final quarter in a near-upset effort before getting absolutely dismantled in the fourth. When playing SMU, Loyola Marymount, Kent State, Bowling Green and Youngstown State, RMU was in the position to win each game until the very last second when the youth and inexperience of this team showed the most. Perhaps the most alarming thing about this Robert Morris women’s basketball squad is their complete and total offensive struggles. Among NEC teams, the Colonials rank ninth in the conference with 56.1 points per game only ahead of the 1-10 LIU Brooklyn Blackbirds. The RMU defense ranks as the best in the Northeast Conference, but that means very little when one ranks ninth in field goal percentage and free throw percentage. With players like Honoka Ikematsu, Megan Callahan and Nneka Ezeigbo who have all proven their ability to score, the offense should not be operating at the anemic levels they have been. As for most teams in the Northeast Conference, the non-conference schedule serves as a tune-up for NEC play. But it also serves as a look into what each team can expect from one another. 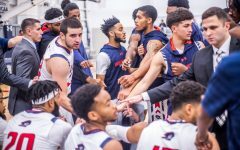 For the Colonials team, which came into the season expected to dominate the rest of the competition, the door appears more open than ever for the rest of the NEC to battle it out for the conference crown. Teams like St. Francis Brooklyn, which have impressed with their 6-6 record, have been hanging with the likes of some pretty notable teams. Their recent 75-70 Triple-OT win over Loyola (MD) proves they can already do something that the Colonials have yet to do consistently this season: finish out close games late. Another NEC surprise has been Mount St. Mary’s. The Mountaineers 5-5 record includes a four-game win streak that contains three wins on the road and a notable win against Colonial Athletic Association opponent Towson. 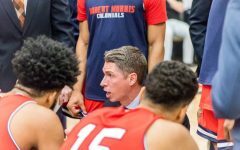 When Robert Morris faced a CAA opponent just days ago, the Colonials were completely handled by the James Madison Dukes in a 57-36 defeat. 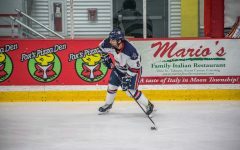 With just two seniors and 10 underclassmen, the inexperience of the Colonials has raised a lot of red flags and much concern going into the start of conference play. The real season begins Jan. 5 when the Colonials host Mount St. Mary’s. Robert Morris has all the pieces to capture a third-straight NEC regular-season title. 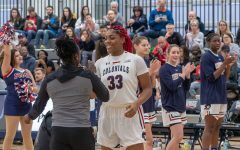 With talented freshmen such as Isabella Posset, All-NEC stars in Nneka Ezeigbo, impressive offensive weapons like Honoka Ikematsu and Megan Callahan and up-and-coming stars in Nadege Pluviose and Irekpitan Ozzy-Momodu, there are so many pieces that make the Colonials above the rest of the competition. The Colonials simply must overcome their greatest weakness, the complete and utter lack of consistency. The Nov. 11 win against La Salle was the only complete game Robert Morris has played all season. That game needs to be used as a model by Coach Buscaglia and it is proof to the rest of the conference that this team has the talent to win and dominate the NEC this season. But if that version of the Robert Morris Colonials cannot come to play each and every day, then this RMU season as they know it is in jeopardy.